Last spring, ABC passed on The Goldbergs' 90's spinoff, Schooled. It had stiff competition as ABC picked up four comedies with The Mayor, Alex, Inc, Splitting Up Together and a revival of Roseanne onto its roster. The network is giving the series a second shot via a backdoor pilot. The episode, appropriately titled "The Goldbergs: 1990-Something" is slated to premiere on January 24. The premise for the series follows Tim Meadows' John Glascott now running the school he taught the Goldberg children in. Also woven from the parent premise is Coach Mellor (Bryan Callen), and of course the queen of meddling, Beverly Goldberg (Wendi McClendon-Covey). It appears Beverly will be the episode's outlandish comic foil, as all of her children have graduated and moved on. Enriching the premise is Nia Long appearing as John's sister, Lucy, who enrolls her teenage daughters Felicia (Rachel Crow) and Gigi (Summer Parker). The premise is cookie-cutter, yet holds potential as Long and Meadows could crackle and carry the show. The backdoor pilot is an ideal compromise after ABC passed on an independent order for a spinoff series. The timing may be two seasons too late, as majority of successful spinoffs launch between 3rd and 4th seasons (or after the original series concludes). 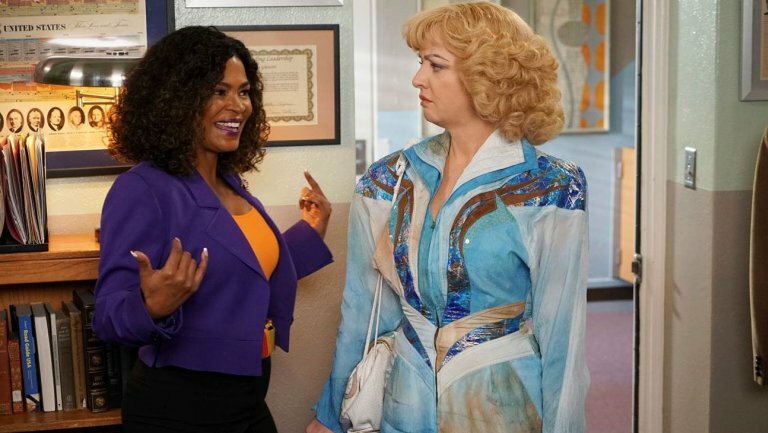 The Goldbergs is in its 5th season, and despite being one of Wednesday evening's strongest players, has eroded to demo ratings between 1.3-1.8. However, it also hosts a prime development bed's lead-in and may prove suitable if critical reviews (and hopefully Nielsen deliveries) are favorable. The backdoor pilot also ingeniously mined two recurring and well-received characters already established into the parent season. Without John or coach Mellor, the Goldbergs will carry itself just fine. Could The Goldbergs successfully birth a sitcom? Watch on January 24, and read the ratings report the following day.